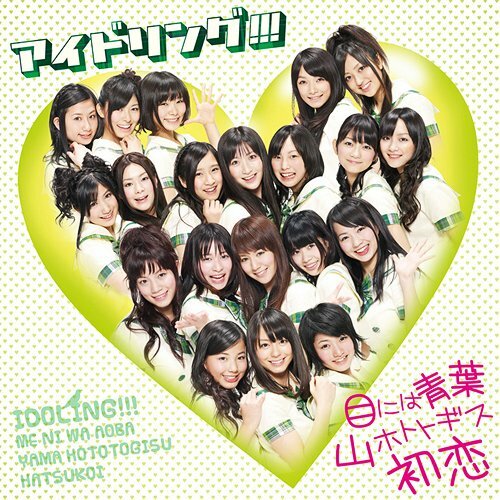 Description:Twelfth single release from IDOLING!!! Limited edition A includes a bonus DVD and a trading card randomly selected from 20 kinds (subject to change). *Unless otherwise indicated, DVDs are region-2 encoded (Japan, Europe, and Middle East), and carry no subtitles. Description:Twelfth single release from IDOLING!!! Limited edition B includes a bonus item. 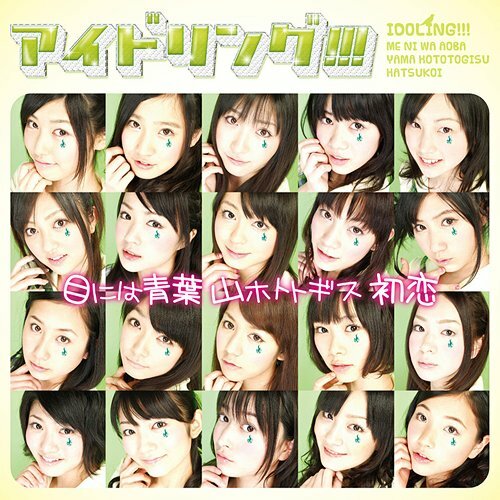 Description:Twelfth single release from IDOLING!!! Regular edition includes a trading card randomly selected from 20 kinds (subject to change). 4th gen is in this too it seems. That's darn quick. I like it! It sounds like a modernized Candies/Pink Lady song. The vocals are a lot better than usual too. And Sakacchi is so adorable! Argh, a little too Shouwa for my taste... It doesn't feel very Okumura Aiko-like either, so I'm hoping for something better in the coupling track she wrote -> Bokura no niwa. Love the covers, but the song is.....meh. It doesn't do anything for me, dare I say it's kind of boring actually. It'll at least definitely get a kickass b-side that's better than the a-side like the past like, 4 singles have had. Also whoever posted this on Arama please keep it up. :> I can't join the community because they have some obnoxious entry requirements, so I can't spread any Idoling!!! love there. I agree that they sounded pretty good this time around. And they're looking good too. I feel like it's a bit of a step up both with the costumes and performance, a little more polished. Idoling!!! confirmed for Music Japan! Funny thing is a whole bunch of idol groups will be assembling on the same day. Hope MJ will be doing an interview to the girls. Kei and I were talking about this. Isn't this only the 2nd time they've been on a music show? The first time was like 3 years ago with Snow Celebration/Moteki no Uta. Hopefully this becomes a regular thing! yes, but heyx3 is not as big as Music Japan. and of course, their music has canged a lot since the last time they were on heyx3. Idoling!!! was actually on Hey!x3 twice, but on the second time, they were just guests because of Kaela Kimura. They were also on Music Fighter once for the AKBIdoling!!! stuff. But yeah, this is only the 2nd time they're going on a music show for themselves. I am surprised by the announcement, but I wouldn't keep my hopes up for any other shows. Shuchishin was on Music Japan and Kouhaku, so we know that NHK is on good terms with Fuji TV. Shuchishin was also on Utaban, but they were immensely more popular than Idoling!!! those in brackets will be have solo parts for Iのスタンダード ?? ?